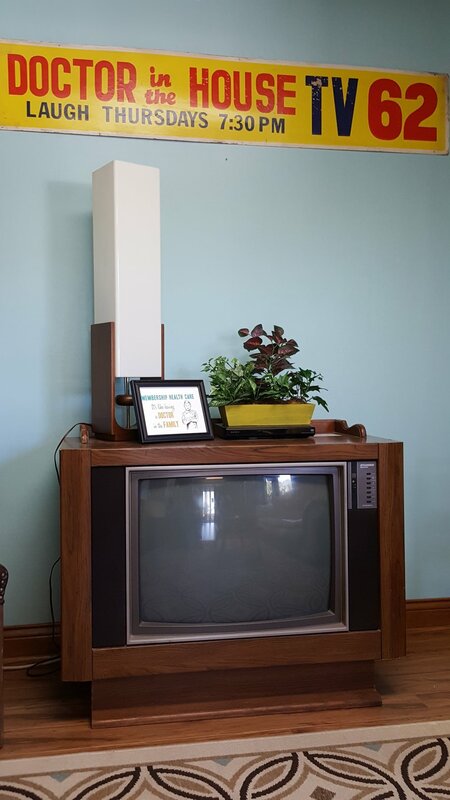 Finding a replacement "vintage" TV for our lobby reminded me that colder months are approaching and that kids will spend less time outdoors exercising and more time indoors watching TV. May I humbly make a few suggestions based on scientific research and common sense? King Solomon (not my grandson, although he does share the same name) wisely wrote in Ecclesiastes 3:1, "There is a time for everything." In the April 2004 edition of Pediatrics journal, a study demonstrated that for each extra hour per day of TV time a child aged 1-3 years old watches, the risk of concentration difficulties increases by 10 percent at age 7, compared with that of a child who views no TV at all. Now this study had its critics, and with good reason, as it did not delineate which type of TV programming nor did it try to correlate concentration with ADD or ADHD. And it did not "prove" that ADD or ADHD is "caused" by TV or other screen viewing. But it does give us pause to consider how we as parents will incorporate TV and screen viewing time in general into the lives of our children. 1. Limit screen viewing time to 1-2 hours per day (not counting school related work). 2. Invest in good books, board games, toys and craft supplies for your kids. 3. Don't use TV as your constant nannie. Young children's brains develop better with human interaction than with TV viewing. 4. Use common sense in choosing what to watch with your kids. Slower moving programs that tell a story over at least 5-10 minutes are preferable according to Dr. Perrin, a pediatrician at Harvard Medical School. 5. Make eating supper in front of the TV an exception rather than the rule. What guidelines do you other parents utilize for your children in regards to TV viewing?